With all the things we considered, we came up with the list below. The Foto WordPress theme will bring your images and artworks to life as you present them on your website. You will also find the theme easy to install and set up – while your site visitors will also be able to navigate through your site straightforwardly. See some of the theme’s most outstanding features below. Home demos – There are 15 styles to choose from. Gallery styles – Choose from over 30 styles of Gallery formats. Concept album – The theme comes with a concept page and you get to choose which album to showcase on your website. Footer styles – There are 4 types of footer styles to choose from and each page can carry a different style. 1-Click installation – The theme has demo samples that can be imported to your current site. Live customizer – You get to see a live preview of the page you’re working on. Responsive design – Different types of devices will display your website beautifully. Quality coded – The theme loads fast. Admin panel – You can change the overall appearance of your site through the back-end of your WordPress. Typography – You can access hundreds of Google fonts to design your website’s typography. SEO optimized – The theme is coded to be search engine-friendly and is compatible with popular SEO plugins. Gallery options – You can change your Gallery’s layout pattern according to your needs. Unlimited Colors – Customize your site’s color combinations to represent your brand. Social interaction – You can enable the option to interact with your audience (through the comment section). Page templates – The theme comes with page templates for About, Blog, About Studio, etc. Post types – You can create pages for your photography album, team, clients, and testimonials. Header logo – You can upload your own logo. The Foto WordPress theme is easy to use and customize in order to achieve the look and feel that you want. It provides several sections where you can showcase your photography works beautifully. If you’re looking for a minimalist photography WordPress theme, the Finnik is worth checking out. It’s very easy to manage your website’s content with this theme and your audience will also find your site user-friendly. Your photography portfolio will also display nicely when you use this theme. Listed below are its top features. Portfolio items – Your portfolio section can contain images as well as videos (or a combination of both). Portfolio listing – Choose from the several portfolio templates on how to display your photography works. Portfolio options – Customize the different portfolio options by configuring the settings from the back-end. Typography styles – Combine elements to customize your site’s looks and functions. Color – You can change and adjust the shades and colors that you use on your website. 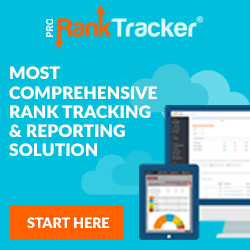 Search link – The theme comes with a search link that can be enabled and disabled as needed. Blog excerpts – You have the option of deciding how long the excerpts on your blog teaser will be. Lightweight design – The theme is fast loading. Contact Form 7 compatible – You can use the plugin with the theme. Lightbox option – You have the option of enabling or disabling the lightbox on your portfolio pages. Google fonts – The theme is compatible with Google fonts (over 600 font styles). WPML compatible – You can use the plugin with the theme if you want to create a multilingual site. Social Media icons – Links to social networking sites can be placed on the upper section of your page. Responsive layout – Your website will look good when viewed from different devices. Organized coding system – The theme is cleanly coded and structured. Cross-browser compatible – All major browsers work with the theme. Full documentation – You are provided with instructions on how to install the theme. As you can see, Finnik is a photography WordPress theme that has a minimalistic and functional design. It provides for a pleasant viewer experience while they’re on your site. Page builder – The theme comes with drag and drop page builder to help you design your site even without coding knowledge. Responsive layout – Your site will load well and look good on different devices. Gallery content – Your Gallery section can contain different elements like images and videos or a mixture of both. Video background – You can design your website to have a video on the background. Coverbox options – There are 8 Coverbox design styles to choose from. WooCommerce ready – The theme is compatible with WooCommerce should you want to sell your photographs and artworks. Google fonts – You can use over 600 Google fonts when designing your site. SEO optimized – The theme is coded using the best SEO practices. Layout styles – Choose from wide (1200px) or narrow (960px) layout when designing your website. Redux framework – The theme is based on this framework. Sticky navigation – You can enable this option to keep the navigation keys visible at all times. Unlimited sidebars – Several sidebars can be used with the theme. Sample demos – Dummy samples are included in the theme. Translation ready – The theme comes with .po and .mo files. Online documentation – You can access the theme’s instruction manual on the internet. The Avalon is a cleanly coded theme that comes with a lot of useful features. Do consider it if you’re planning to put up a photography website. It comes with ready-to-use templates that are also highly customizable. Photographers and other creative types will like the clean design of the Retine WordPress theme. It provides the user (owner, developer, and site visitor) with tons of features on using the website. If you’re interested in this theme, see some of its major features below. 1-click demo installation – You can make an exact replica of the theme’s demo (there are several samples to choose from). WPBakery – This drag and drop plugin is included with the theme. Slider Revolution – This premium slide maker is also included with the theme. Mega menu – The theme allows for the creation of multi-layered menus. Portfolio layouts – There are several styles to choose from when creating the portfolio section of your website. Photo albums – The theme comes with a lot of layout options for the photo albums. MailChimp – This email marketing plugin is included in the package. WooCommerce ready – You can install WooCommerce if you want to sell your work or products online. Design options – Create pages and posts with galleries, slides, carousels, and more. Menu layout – There are at least 6 menu layout styles to choose from. Header layout – There are several header styles to choose from. Content blocks – Use the content blocks when creating headers and footers for your website. Social Media – Social sharing is made easier with the integrated Social media elements. WPML ready – The theme is compatible with the translation plugin. SEO optimized – You can use SEO plugins with the theme. Styling effects – Images can be zoomed and you can use parallax effects on photos. Sticky menu – You have the option of keeping the menu section of your site always visible to users. Unlimited colors – You can use different shades of colors to match your website with your brand. You can showcase your photos and works of art through portfolios, slides, and galleries on your site. The Retine WordPress theme is simple to set up and it comes with templates that you can customize to fit your needs. Image viewing – Photos can be zoomed in and out. Live photowall homepage – You can enable this option and have random homepage designs display every time you (or your audience) visit your website. Unlimited portfolios – The theme supports multiple portfolios to display your work. Blog layouts – You can go for with or without sidebar style. Blog system – You can use different post formats for your blog. Social Media icons – The theme comes with over 30 types of social network icons that you can use on your site. HTML, jQuery, and CSS3 – The theme is well-coded and structured to ensure smooth operation. Unlimited sidebars – You can use more than 1 sidebar with the theme. Google fonts – You can use any of the hundreds of fonts in the Google font library. AJAX contact form – The theme comes with a working contact form. Translation ready – You can easily transform your website into a multilingual one. Responsive layout – The theme is able to display beautifully on different types of devices. SEO ready – You can use SEO plugins with the theme. Google Analytics compatible – The theme supports Google Analytics. Fully documented – An instruction manual is included with the theme. Photographer is a user-friendly WordPress theme and web designers can easily customize it even without coding skills. It also comes with built-in galleries for displaying images. If you’re a photographer looking to showcase your work in a simple website, you can consider getting the ProPhoto WordPress theme. You can create a gallery-type style with the theme and simply include all the features that you need for your site. Look at some of the theme’s features below. Tabless layout – You can opt to have a tabless style of a layout (no tabs) with 2 columns. Post panel – You don’t need to install a plugin to add image fields. jQuery lightbox – You can use the lightbox style to display your works. Image resizing – The theme is capable of automatically resizing images into thumbnail, medium, and large sizes. jQuery tooltips – You can enable the generation of tooltips when pointing at images. jQuery thumbnail fading effects – This is a customizable option. Video ready – You can include video files from video sources like YouTube and Vimeo. Admin panel – Elements can be easily edited from the back-end. Scalable structure page – You can put in a lot of content without ruining the theme’s layout. Stock photos – 7 images from Stock Photos are included in the package (for free). Pre-sliced PSD – The theme’s layout elements can be customized in color and design. Cross-browser compatible – The theme works for all major browsers. Full documentation – Instructions on how to install and set up the theme are included in the package. ProPhoto is a simple but feature-rich WordPress theme. Its main focus is image presentation – that’s why it comes with styles and options for showcasing your best works. If you’re searching for a modern, multi-purpose photography WordPress theme, you might want to look at the AltaFrame theme. 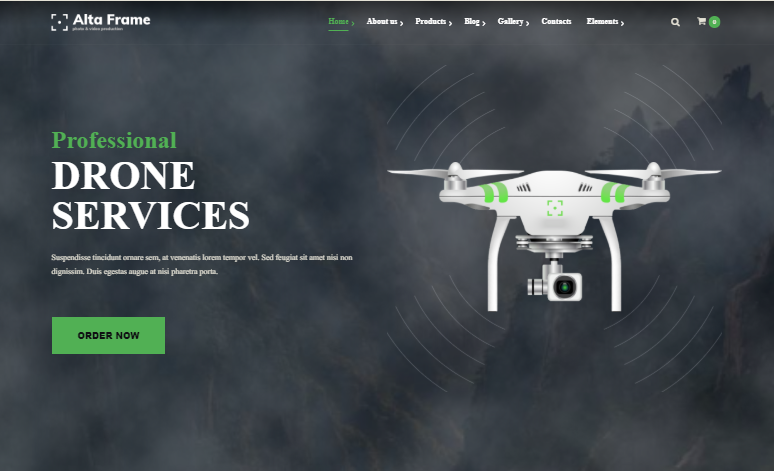 This theme can make a really good site for aerial photos (via drones) and videos as well. Websites for photo schools and studios will also look good with this theme. Check out some of its best features below. 1-Click demo installation – The theme’s demo can be easily imported and used as the template for your own website. Multi-Level menu – Your menus can contain several categories. Branding – The theme allows you to upload your brand’s logo and favicon. Content layout – You can customize the way your site’s look according to its purpose. Zoom effects – Users can zoom in and out of images. Admin panel – Setting can be customized at the back-end of WordPress. Homepage styles – The theme comes with several styles of Homepage to choose from. Plugin support – The theme is compatible with popular plugins like Visual Composer, MailChimp, WPML, and Contact Form 7. Color customization – You can easily change your site’s color theme. Parallax effects – Highlighting effects can be used on the images that you want to showcase. SEO-friendly – You can use popular SEO plugins with the theme to help boost your SEO campaign. Automatic updates – You’ll get theme updates for free. Responsible layout – The theme is viewable on different devices. Valid and organized codes – This ensures fast and smooth loading. Google fonts – You have the option of choosing from over 600 Google fonts. Cross-browser compatibility – The theme is supported by all major browsers. Fully documented – Get complete instructions on how to install the theme. You can create a unique and stunning photography website with the AltaFrame WordPress theme. Keep in mind that you don’t need coding skills to do this as the theme comes with ready-made templates for pages, galleries, portfolios and special effects. Gallery layouts – The theme comes with more than 30 varieties of layout designs for your gallery pages. Gallery management – You don’t need to install plugins to create and manage galleries on your site. Fast loading – Pages with A LOT of images will load quickly. Private galleries – You can create login details for your clients to prevent unauthorized use of your web pages. Display metadata – You can display descriptions on your images (focal length, shutter speed, aperture info, camera info, and more). 1-Click demo installation – A sample website can be cloned and used as the starting point for your own site. Admin panel – The theme’s customization settings can be easily accomplished. Pagination styles – You can choose from classic, numeric, infinite scroll, and load more. Custom widgets – The theme comes with widgets to provide your site with additional features. Shortcodes – Elements such as separators, columns, and highlights can be easily added. RTL support – The theme supports right to left reading. Responsive layout – The theme looks good when viewed from large and small screens (desktops and mobile devices). Translation-ready – There’s a built-in translation option that you can enable to allow your site to be translatable into other languages. Complete documentation – The theme comes with a set up manual. 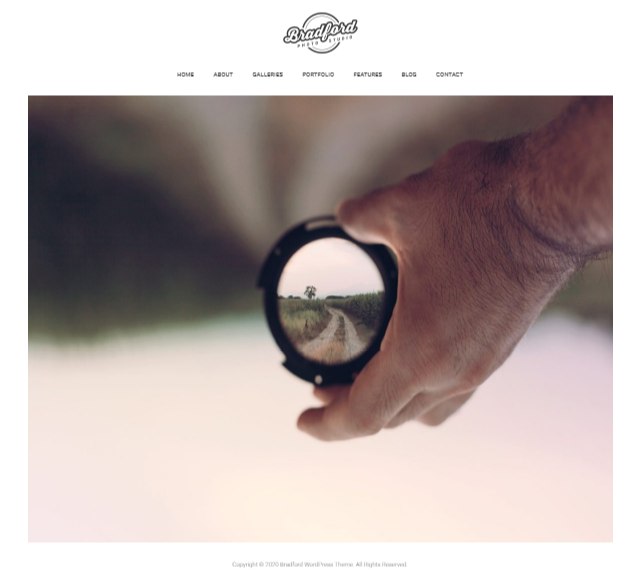 The Pinhole WordPress theme allows for the presentation of photos in an amazing manner. You can also include details and effects on all your images. Shuttea is a minimalistic WordPress theme that would work well for photographers and creative minds. Note that you can use the theme for promotional, personal and business purposes. Look at some of its basic features below. Attractive introduction effects – You can showcase your work using parallax and particles effects. Gallery – You can display a lot of images in full screen. Photo description – Details of each image can be displayed. Admin panel – The theme comes with an easy-to-use admin panel for customization of settings. Typography – You can choose from a wide range of font styles in designing your website. Portfolio grid – You have the option of displaying your photographs in masonry layout. Responsive design – The theme is able to display beautifully on different types (and sizes) of screens. Mobile optimized – Mobile devices (e.g. tablets, smartphones) are able to access the theme without any trouble. Animations – You can opt to use animated effects in showcasing your work. Graphics – The theme comes with smooth Vector graphic design. Isotope filtering – This filtering system is included in the package. Hamburger menu – The theme’s menu is accessible through the popular Hamburger design. Contact form – The theme is compatible with popular contact form plugins. Cross-browser compatibility – All major browsers can access the theme. Online documentation – You can access the theme’s installation instructions on the internet. The Shuttea makes for a fine choice when choosing a WordPress theme for your photography website. You can customize your site’s features so that you can showcase your beautiful works just the way that you want it. 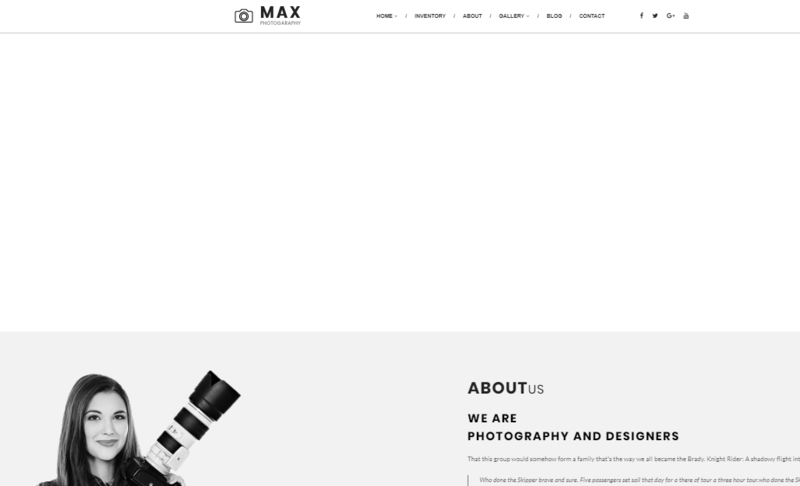 For a clean, modern photography website, you can consider getting the Max Photography WordPress theme. It’s a full-featured theme that can be customized from the back-end so as to produce the design and layout that you want. Read on for more details of the theme’s features. 1-Click demo installation – You can set up your site quickly by cloning the theme’s demo site. Live customizer – You can see a live preview of your work as you are designing your website. Admin panel – Go to the theme options at the back-end to configure settings and arrange elements on your site. Visual Composer – Included in the theme is a drag and drop plugin that you can use in designing your site (without coding knowledge). Revolution Slider – The theme comes with a premium slide maker for presenting your work in a stylish (and attractive) way. RTL support – The theme is compatible with right to left reading plugins. WPML support – You can easily transform your website into a multilingual one just by installing the translation plugin. SEO optimized – The theme is coded to be search engine-friendly. You can also use SEO plugins with the theme to boost your SEO campaign. Responsive layout – The theme is built in such a way that devices with different sizes of screens can clearly (and beautifully) view your site. Custom widgets – There are custom widgets to add more useful features to the theme. Contact Form 7 support – You can use the plugin with the theme. Cross-browser compatibility – The theme is compatible with all major browsers. Full documentation – Full instructions on how to use the theme is included in the package. As you can see, the Max Photography carries all the basic features of a WordPress photography theme. Keep in mind that you can further customize it to fit your specific needs. Portfolio layouts – You can choose from 6 layouts as to how you want to display your portfolio. Search filter – Users can input keywords in searching through images. Portfolio variations – There are over 30 variations of additional options for the portfolio section of your site. Project layouts – Your projects can be presented in 5 different ways and there are several gallery styles to choose from. Gallery sizes – You can create galleries in 9 different sizes and use different styles in all of them. Styling effects – All pages can include videos and images with parallax effects. Footer widget areas – There are 6 widget areas for the footer section. Modal window – You can use certain sections of your site to display personal information or contact details. Lazy loading – You can opt for lazy loading style in loading images and post. Fixed header – Enable this option if you want your site’s header to disappear as one scrolls down the page. Post types – The theme supports portfolio and gallery posts. Blog layouts – There are 4 layouts to choose from when creating the blog section of your website. Plugin support – The theme supports popular plugins like Visual Composer, Yoast SEO, Contact Form 7, MailChimp, WPML, and more. Responsive layout – The theme is compatible with different sizes of screens. Password protected – Projects can be password-protected so that only authorized users are able to access them. Lightweight design – The theme is cleanly coded to enable fast loading. Translation ready – .po file is included in the theme and you can also install the WPML plugin. SEO optimized – The theme is coded in such a way that it’s easy to rank on the search engines. Both beginners and advanced users can make use of the Semishot theme in designing websites. The theme comes with a lot of features and styles in presenting works of art and beautiful images. 1-Click installation – You can quickly install your site by copying the theme’s demo template. Admin panel – You will find all the theme’s customizable options at the back-end of WordPress. You can design your site’s layout, color, and fonts from there. Unlimited colors – The theme allows users to use any shade of color when designing their website. Homepage layouts – There are 6 layouts to choose from. Blog layouts – The theme comes with several blog layouts to fit your site’s overall design. Contact form – A working contact form is included in the theme. Visual Composer – This drag and drop page builder is included in the package. Slider Revolution – This slide maker is included in the theme. Translation ready – The theme is compatible with the WPML plugin and also comes with .po and .mo files. Site icons – A number of site icons representing Home, Search, Next, and more are included in the package. Google map – The theme is compatible with Google map. Parallax background – You can use parallax effects as background for your website. Responsive design – All major devices can give clear views of the theme. Google fonts – You can customize the fonts on any elements on your website by using Google fonts. Clean coded – The theme has organized codes to ensure smooth operation. Full documentation – You’ll get a step by step guide on how to install the theme. The Agatha WordPress theme is a highly customizable photography theme that you can design according to your Company’s and client’s needs. It’s simple to use but very powerful – even persons with no coding skills can easily work on it. If you’re looking for a clean and minimalist photography theme for your WordPress site, the Bradford theme can be one of your options. It makes for a good portfolio and gallery website as it comes with display features that are especially intended for images. See its most prominent features below. Page templates – The theme carries templates for different pages on your website. GT3 page builder – This drag and drop tool is built into the theme. 1-Click demo installation – You can create an exact copy of one of the theme’s sample sites. Settings panel – The theme’s settings can be configured at the back-end. Landing page – A custom landing page template is included in the theme. Gallery albums – There are several gallery album styles included in the package. Portfolio – You can choose from several styles of portfolio for your work. Translation ready – .po and .mo files are included in the package. Color management – Easily set and change colors of your site’s design. Google fonts – The theme is compatible with Google fonts (over 600 fonts). Password protection – You can enable the password-protect option for your galleries. SEO friendly – The theme is coded with SEO in mind and is, therefore, search engine-friendly. Blog styles – You can design your blog page with sidebars to the left and right sides. HTML and CSS codes – The theme is built on a solid framework. Plugin support – The theme is compatible with Contact Form 7, MailChimp, and other popular plugins. Responsive layout – Devices with large and small screens can access the theme nicely. With its functional and full-featured design, Bradford is a theme that can be used for personal and business purposes. You can consider using this theme to showcase your photos and artistic works to the world. Photographers and creative artists who want to showcase their works professionally will benefit from the use of the Aurel WordPress theme. If you are considering this theme, know that you can easily design your website with it as doing so doesn’t require any coding skills. Listed below are some of its best features. 1-Click installation – You can clone an exact copy of the theme’s sample site together with all the pages, menus, widgets, images, etc. 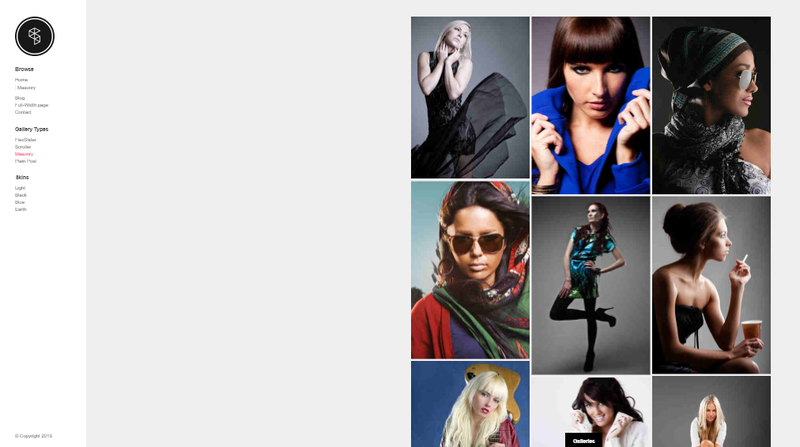 Portraits layouts – The custom layouts allow you to post images without cropping them first. Video galleries and slides – Present your work beautifully. Password protection – You can assign passwords to galleries and albums so that only authorized users can access them. Theme styles – You can choose from light or dark theme. Photo proofing – Clients can be allowed to choose the photos that they need from your website. WooCommerce compatible – Selling your photos online is made easier with this plugin. Image upload – The theme allows for bulk uploading of images. Live customization – You can edit a page and see how the end result will look like. Blog formats – You can use different post formats for your blog. Compatible plugins – Some of the plugins that the theme supports include Yoast SEO, MailChimp, Contact Form 7, WPML, Loco Translate, and Super Cache. SEO friendly – You can use popular SEO plugins with the theme. Unlimited colors – You can pick any shade of color for your site’s design. Logo options – You can upload your own logo (image or text) for your brand. Social Sharing tools – The theme comes with social media tools to help in spreading the word around regarding your website. AJAX-based – The theme loads fast. Lifetime updates – You’ll get free updates for life once you get the theme. With pre-made pages, galleries, and albums, you can present your work to the whole world with minimal effort. All the templates that come with the theme are also customizable – so, you can really come up with the exact design that you want. Content blocks – The theme comes with 6 ready-made content blocks to hold your content. Page templates – You can use any of the included templates when creating your website. Header styles – Choose from 2 styles for your header – centered or standard. WP Customizer – You can see the live preview of your work while editing. Password protection – Your projects can be password-protected so that only chosen people can access them. Search filter – Users can search images on your portfolio and gallery sections. Responsive design – The theme looks good on different sizes of screen. Portfolio options – You can customize the layout, captions, and gaps in images. Page title – You can customize the colors, texts, and images on the page title section of your site. Blog layouts – Your blog section can have a grid or standard layout. Share feature – Your pages, posts, and portfolio items can be easily shared on social media. Widgetized footer – The footer area can hold up to 4 widgets. Translation ready – The theme comes with .po file and is compatible with the WPML plugin. Audio and video support – The theme supports self-hosted audio and video files. SEO optimized – You can use SEO plugins with the theme (e.g. All in One SEO and Yoast SEO). 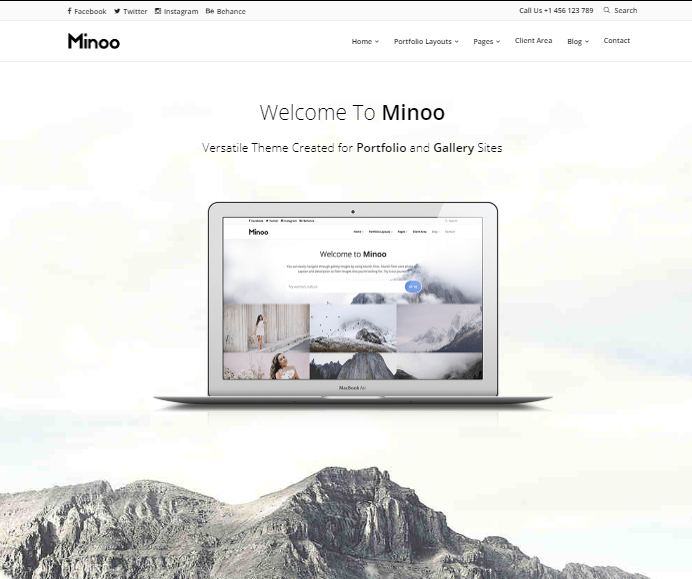 You can create a business or personal portfolio website with the Minoo WordPress theme. It comes with ready-made templates that you can customize according to your type of business or project. TheNa is a simple WordPress theme that can produce a well-designed and functioning website. It works well for photography, designing agencies, personal crafts, and other similar interests. See the theme’s top features below. Horizontal layout – The theme carries a horizontal look for a truly unique presentation of content. Theme styles – Choose from light or dark theme. AJAX-driven – Your site visitors will be able to access your site quickly. Back-end control – You can change your site’s style, layout, color, background, fonts, etc. Portfolio templates – Choose from 3 styles of portfolio. Blog templates – The theme comes with 2 blog styles. Page builder – The theme comes with a built-in page builder to help you put up your site even if you don’t know a thing about coding. Shortcode generator – You never need to deal with codes as the shortcode generator automatically does the work for you. Google fonts – You can use Google’s hundreds of fonts. Contact Form 7 compatible – You can install the plugin and create your site’s contact page. MailChimp compatible – The theme supports this email marketing plugin. Pricing table – You can opt to place a pricing table on your site (if you’re selling your work). WooCommerce compatible – You can use the WooCommerce platform in selling your products. RTL support – You can opt to have your site display its texts in the right to left format. Text styles – Choose to display your text content in list or carousel form. Online documentation – Installation instructions are found on the internet. With the TheNa WordPress theme, it would be easy to create a website that will display your photography works. The built-in page builder will make web designing fast and easy – and with all your desired functions at that. The Kreativa WordPress theme is able to provide photographers and creatives with a lot of options on how to display their work on a beautiful, functional website. This is a highly customizable theme – so, your imagination is the limit when it comes to designing the layout and overall look of your site. Listed below are just some of its features. Menu styles – You have the option of displaying your menus horizontally or vertically. Slideshows – Slideshows can be displayed on a full screen. Portfolio galleries – Choose from several styles of galleries for your images. Photo proofing – You can allow your clients to choose from your works. Page builder – Create your site’s pages with the theme’s built-in page builder (no coding required). 1-Click demo installer – You have the option of copying the theme’s demo page and then customize it according to your needs. Revolution Slider – This premium slider is included in the package. Theme options – You can easily change layouts from the back-end. Events management – The theme has a built-in calendar for managing events regarding your work. Page background – You can use videos and slideshows for your site’s background. Right click options – You have the option of disabling the right click functionality. Password protection – All your pages can be password-protected. AJAX likes – You can enable this option if you want to interact with your site visitors. Custom widgets – The theme comes with a lot of custom widgets such as social icons, recent posts, related posts, gallery, and more. You will find the Kreativa WordPress theme easy to use as it comes with a lot of templates to start with. 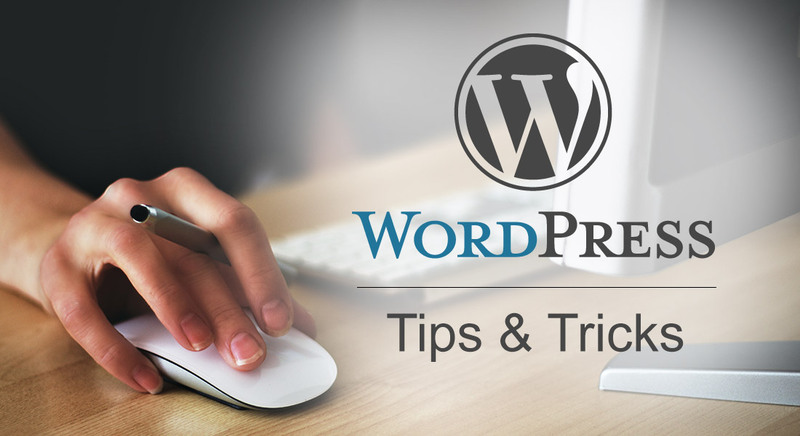 You can then go to the back-end of WordPress to customize your site’s design to exactly the way you want it to be. You don’t need coding skills to do this and the theme includes step by step instructions on how to use it. Professional photographers and artists will find the PhotoPro WordPress theme useful in showcasing their work to the world. With all its styling options and customization properties, you can easily make a website that stands out. Below are some of the theme’s most notable features – so, just read on. Homepage options – You can choose a layout that scrolls or a masonry design. Blog template – The theme comes with a template for your blog page. Lightbox styles – Should you decide to use lightbox in designing your site, you can choose from 2 styles. Live demo – You get to see a live preview of the page that you’re editing. Scrolling options – You can choose from either full-width or masonry. Mobile-friendly design – Mobile users will experience fast loading of pages. Google map – You can include Google map on your site’s design. Translation-ready – The package includes .po and .mo files. Cross-browser compatibility – All major browsers can handle the theme. Video guide – The theme comes with an instructional video on how to use and install the theme. Full documentation – An instruction manual is included in the package. 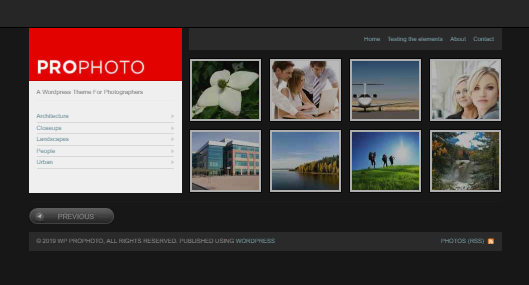 The PhotoPro WordPress theme is easy to manage (back-end) and use (front-end). It also comes with a lot of customizable options so that you can design your site in a particular way. 1-Click demo installation – You can make an exact copy of the theme’s sample website and just fill it up with your own content. Layout styles – The theme comes with several layout styles such as masonry – a layout that’s known for its space-saving attribute. Ribbon gallery – This gallery can accommodate both landscape and portrait layout. Blog layout – You can go for the full-screen or standard style. GT3 page builder – This built-in plugin employs drag and drop style in arranging elements on your site. Background design – You can use images and videos as part of your website design. Slides – Your slides can be presented in full screen. Options panel – It’s easy to customize your site’s settings from the back-end. Google fonts – You can use any of Google’s 600 + fonts. Plugin support – The theme supports popular plugins like Contact Form7, MailChimp, and more. SEO friendly – You can use SEO plugins with the theme when working on your SEO campaign. Color management – The theme allows for full customization of colors when designing your site. Social interaction – You can enable the views and likes option. Responsive design – The theme is built to provide clear images when viewed from different sizes of screens. 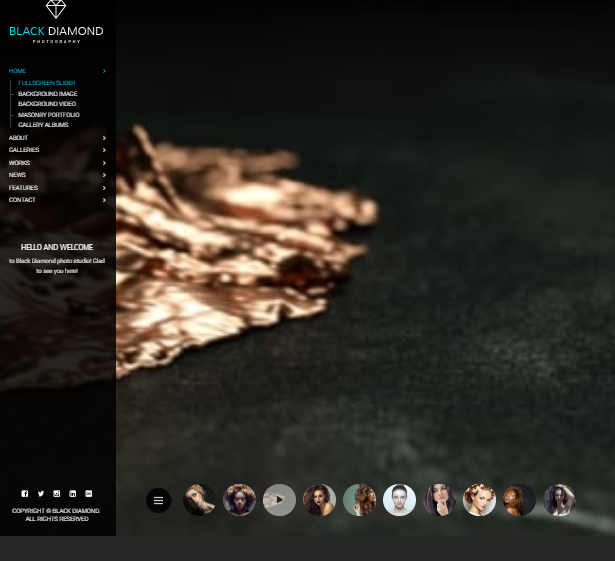 The Diamond theme can create a powerful website for your photography works. Aside from having a functional site that will cater to your audience’s needs, you can also employ a stylish design in showcasing your creations. Page transitions – Navigating through your site is smooth and fast. Gallery styles – You can display your photos in grid style or slideshows. Portfolio projects – Additional texts can be included to say things about a particular image. Video support – Aside from photos, you can also include videos on your site galleries. Social Media support – The theme comes with a social media system for spreading your work online. 1-Click demo installation – You can use the theme’s website sample including all elements that come with the demo. Homepage templates – The theme comes with several templates that you can use for your homepage. Translation ready – You can use the WPML plugin with the theme. RTL support – The theme is compatible with RTL (right to left) plugins. Contact Form 7 – This plugin is included in the package. Google map – Google map is integrated into the theme and can be immediately used to show location sites. Google fonts – You can access hundreds of Google fonts with the theme. Unlimited colors – You can use the colors that represent your brand. Custom widgets – The theme comes with its own set of widgets for Twitter feed, Dribble images, Flickr photo stream, and more. The LENS WordPress theme is well-coded and designed to showcase your photography works in a user-friendly manner. The theme itself is highly customizable so that you can give your audience the best visual experience when they visit your site. Which Photography WordPress Theme Should You Choose? Is it for business use? Are you going to sell products and services? How do you want to present your creative works to the world? Answer those questions and choose the theme that will serve its purpose. Good luck!